The State of Arizona has a surveillance program in place tracking West Nile Virus occurrences. The program focuses on virus activity in mosquitoes, chicken flocks, dead birds, sick horses, and humans. There's not much that can be done to prevent West Nile Virus. Although several people across the country have died from the West Nile Virus, including some people in Arizona, it is important not to panic and remember that the numbers are relatively very small. On rare occasions, the West Nile Virus infection can result in a severe and sometimes fatal illness known as West Nile encephalitis (an inflammation of the brain). The risk of severe disease is higher for persons 50 years of age and older. In general, one is much more likely to be killed by lightning or by a drunk driver than by West Nile Virus. While the state is taking a proactive role in protecting the citizens of the state from the West Nile Virus, there are some common actions that people can take. Mosquitoes breed in standing water. Although you can't do much about the human-made lakes and lagoons around town, you can keep your home free from standing water. Eliminate any standing water in cans, bottles, jars, buckets, old tires, drums, and other containers. Change water in flower vases, birdbaths, planters, and animal watering pans at least twice a week. Move air conditioner drain hoses frequently to keep mosquitoes from breeding inside. Use insect repellent containing DEET when going out at dawn, dusk, or at night. Use insect repellent containing DEET if you'll be spending time near standing water, such as when playing golf or at a park with a pond or lake. Make sure you read the insect repellent instructions when applying it to children. Wear clothing that covers the arms and legs. Spray the clothing with insect repellent. Repair window and door screens to keep mosquitoes out of the home. The incubation period for West Nile Virus is between three to 15 days after being bitten by an infected mosquito. Symptoms may include fever, headache, and body aches, occasionally with skin rash and swollen lymph glands. A severe case of West Nile Virus may result in headaches, high fever, neck stiffness, stupor, disorientation, coma, tremors, convulsions, muscle weakness, paralysis, and, rarely, death. Less than 1 percent of persons infected with West Nile virus will develop a severe illness. People older than 50 years old are at the greatest risk. If you contract West Nile Virus, you develop an immunity to it, presumably for the rest of your life. Although it is under development, there is currently no vaccine for West Nile Virus. What to Do If You Get West Nile Virus? Remember, not every mosquito bite means that you have become infected. If you are having symptoms as mentioned above, see your doctor immediately. Let your doctor know if you have recently traveled to an area where West Nile Virus is known to exist. Your doctor will do the appropriate tests and notify any authorities that may be required. West Nile Virus is not transmitted between humans or between animals and humans. It is spread by mosquitoes that feed on infected birds. Infected mosquitoes may bite people or animals. Those people or animals may or may not contract West Nile Virus as a result of the bite. To see the total number of cases of West Nile Virus detected so far, and the deaths associated with those cases, visit the Center for Disease Control. 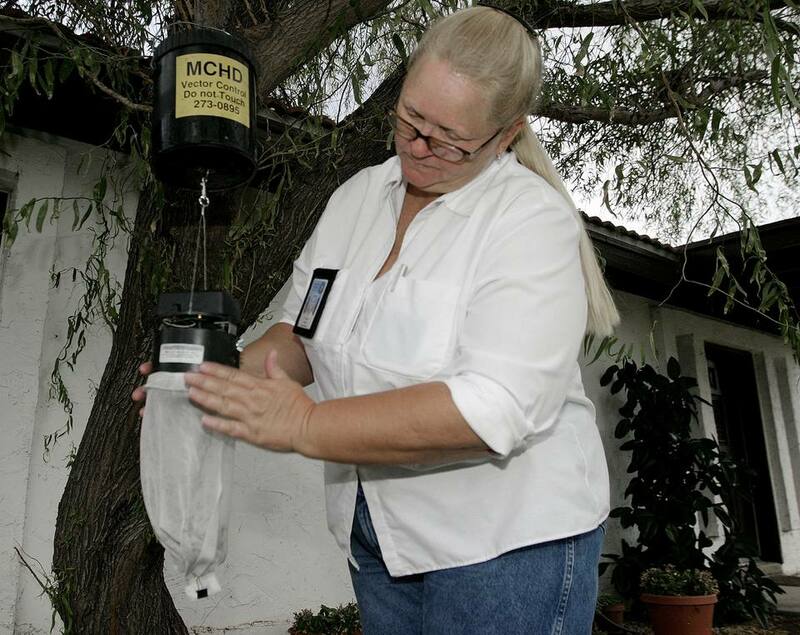 The Vector Control division of Maricopa County Environmental Services investigates citizen complaints dealing with mosquitoes, flies, and non-native rodents. For information on dead bird surveillance and mosquito control in the greater Phoenix area, or to report dead birds, contact the Maricopa County Health Department. How Much Will Your Phoenix Area Electric Bill Be?